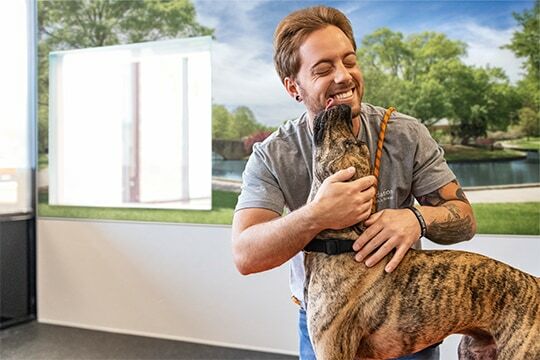 Dogtopia’s company-wide open play philosophy was developed at our Tysons Corner location, home of the first Dogtopia. We base our doggy daycare on daycare for children; it’s a place where your pup will not only spend their day having fun and getting plenty of healthy exercise, but will also learn valuable socialization skills. Many of the dog parents who bring their dog to us report an improvement in their pup’s behavior after just a few days of daycare. Our facility is 10,000 square feet and features four playrooms: the Toy Box, Romper Room, Gym and Lounge. 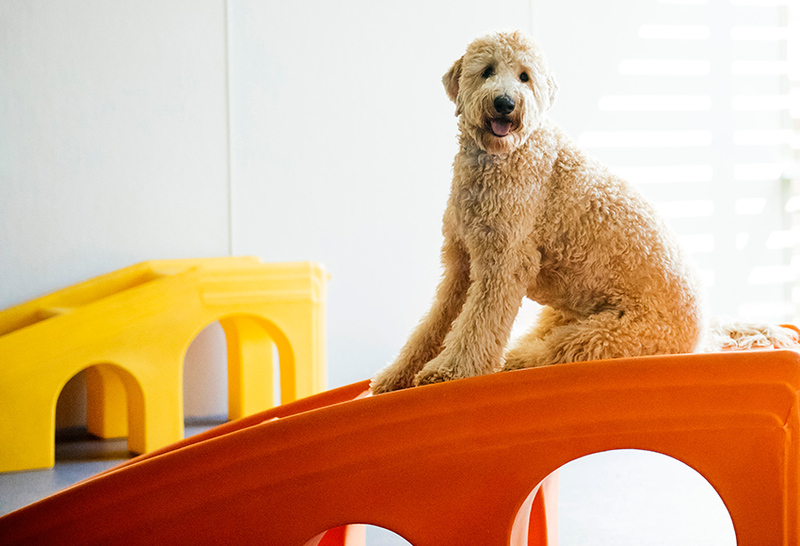 Our playrooms come equipped with rubberized flooring specially designed for your dog’s comfort. The material is gentle on the pads of dogs’ feet and is also highly beneficial for senior dogs and pups suffering from joint ailments. Whether your dog is staying with us for a few hours or the entire day, they will enjoy fully supervised, climate-controlled playrooms. We provide the ideal location to drop your dog off if you’re looking to get some shopping done. Our facility is located near one of the biggest shopping destinations on the East Coast. Dog daycare is just what it sounds like: a daycare center for dogs. We provide a safe and clean environment for you to drop your dog off if you’re looking to run a few errands or if you don’t want to leave them alone while you’re at work. Your dog can also get lonely if they’re home alone. Spending time with other dogs and people will prevent these feelings, improve their behavior and give them plenty of exercise. Daycare and boarding dogs are separated by size, temperament and style of play. This is to ensure that your dog has a safe and fun time when they’re with us. If your dog is small or laid-back, you don’t have to worry about them being overwhelmed by larger or more energetic dogs. From our management to our playroom attendants, everyone at Dogtopia of Tysons Corner is part of a well-oiled machine. We only hire patient and caring people who love dogs. Learn more about our team here. Dogtopia of Tysons Corner is where Dogtopia perfected its innovative style of dog daycare now used in our locations across North America. It is a safe, healthy and fun environment. 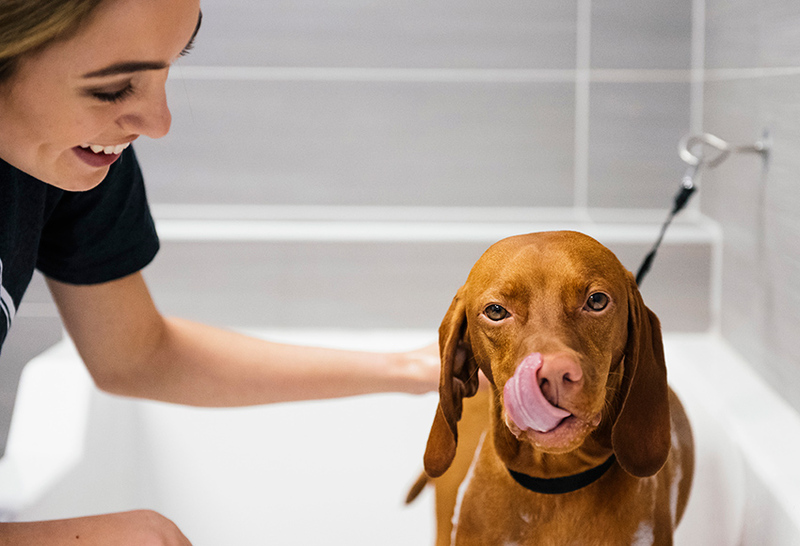 Our team members are also dog parents and will give your dog plenty of TLC. Our team is trained to recognize dog body language and manage large groups. If you’d like to learn more, please check out our pricing page or feel free to contact us. Our team members will be more than happy to answer any questions you may have. We will help you to find the daycare package that is perfect for your dog and fits your budget. Before booking daycare with us, we require that you bring your dog in for a meet and greet with our team. 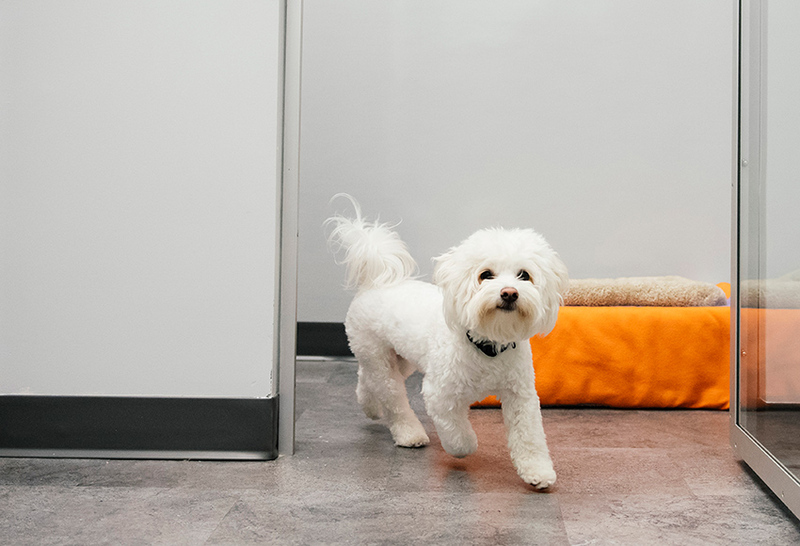 This will give us a chance to determine if your pup is the right fit for our open playrooms. To set up a meeting, please contact us or fill out our enrollment form.